White is the ultimate get away color for fashion. They say that when in doubt, go white and you can never go wrong. Now, since white has established its given “wow” factor, sprinkling it with glitter would definitely make your fashion statement not just ok but a definite show-stopper. Just like in nail art, painting nails with white polish is already good enough. However, nail artists are not satisfied with how plain and clean the nails would be if its just white. Adding the glitters and the sparkling jewels over designs in white make the art shines even brighter in the crowd. The combination results to sophistication from brilliance and elegance. 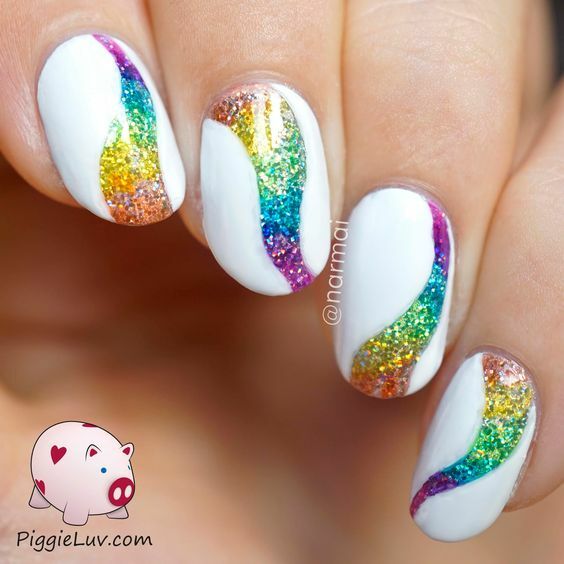 Below are the 30 Elegant White Nails With Glitter. Its simple enough to recreate these masterpieces so for you gals out there, you don’t have any excuses to be fabulous.